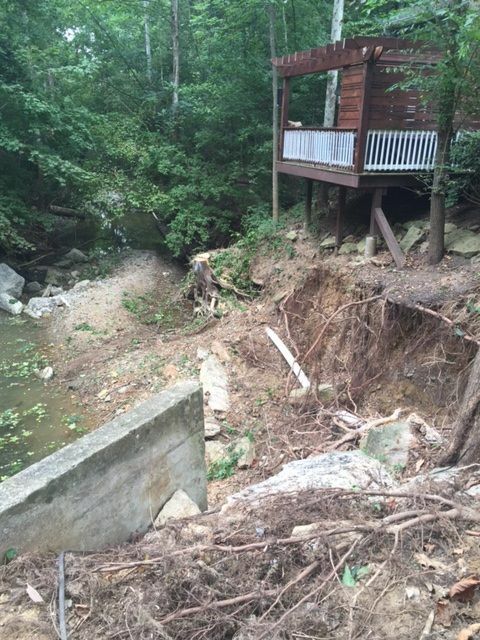 During a daily record 7” to 10” rainfall, the creek banks of suffered complete failure, endangering the nearby homes. 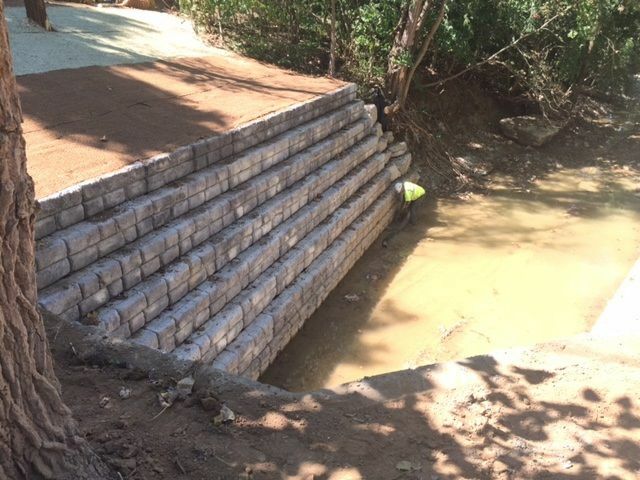 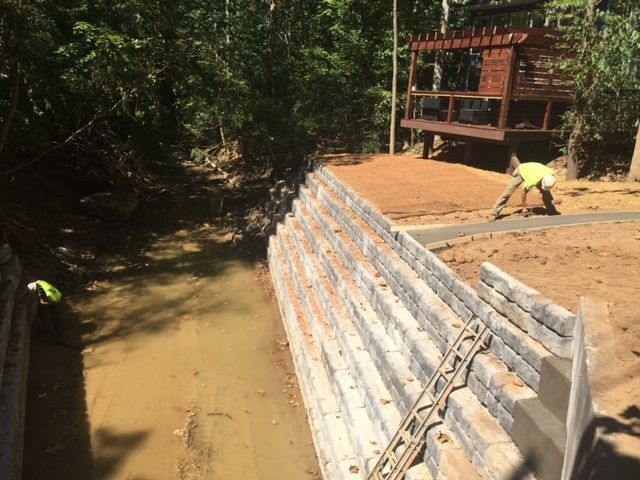 E-Z Construction provided emergency services and within a 1 week time frame had the creek bank safely stabilized. 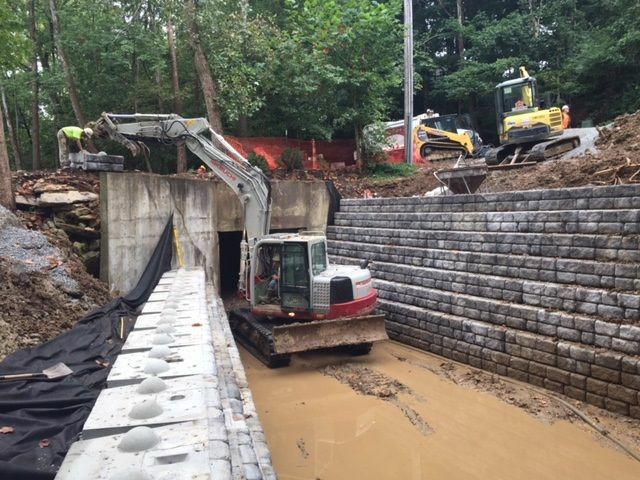 Other agencies and small cities throughout the Metro Louisville area could experience a similar situation and E-Z can provide a rapid response.